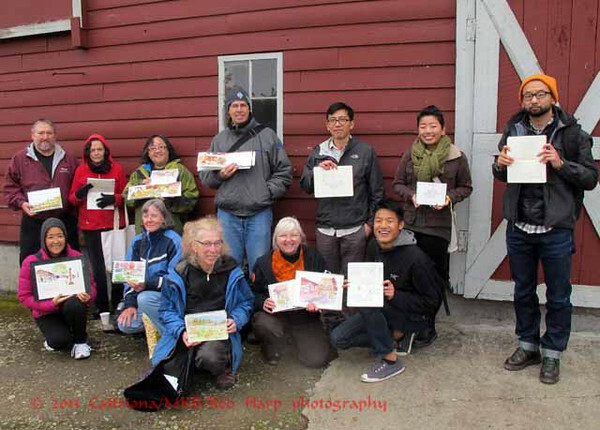 The Seattle Urban Sketchers met at the Craven Farm in Snohomish. It was a 1.25 hour drive for me with no traffic. Mine was the second car in the lot at 0920. By the time we left 3.5 hours later, there were hundreds of cars. It's a very popular pumpkin patch. 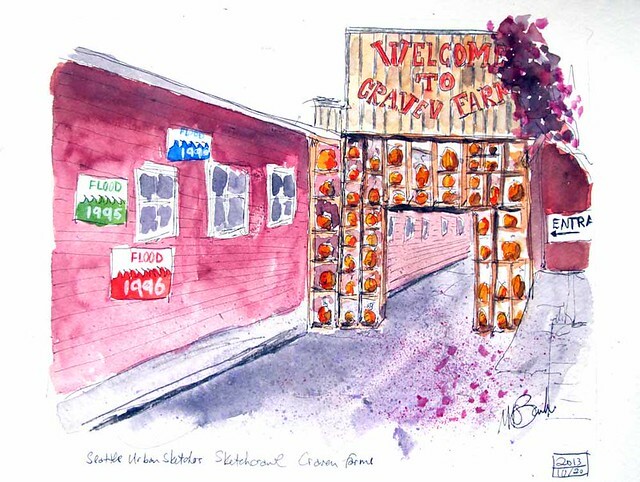 They have hay rides, pumpkin slingshot, food venders and a non-scarey 30-D pumpkin barn adventure. It was also cloudy, foggy and cold. It was about 49 degrees the entire time and I didn't really dress for that. I did get 2 sketches done despite my cold fingers (it's time to always have gloves in the car). The first is the entrance with its wall of pumpkins. Also, note the flood levels indicated on the wall of the building at left. 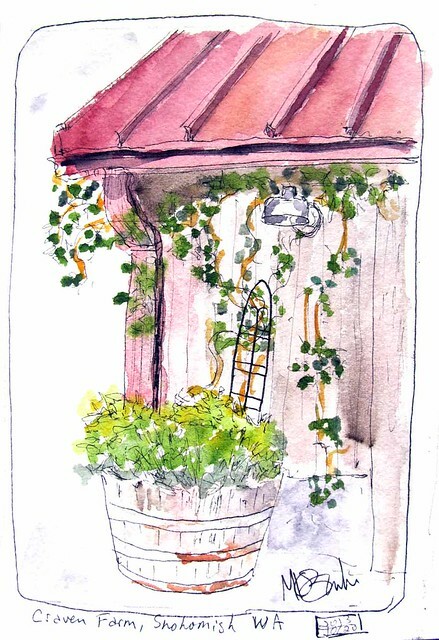 Next is a corner of a building where the vine attracted me. More on my personal blog and more photos here. Beautiful sketches. Love the one of the welcome sign and walkway. Sorry I missed you guys for the sharing and photo. I got stuck making a huge mess of my drawing and by the time I went wandering around looking for you I couldn't remember where we were meeting!